The episode avoids the controversies, such as how the protection of wolves and grizzlies threatens ranchers. Instead, the show keeps the lens on the broader benefits of having these predators back in the Yellowstone ecosystem. Their return is now keeping in check elk and bison, whose populations boomed during the predators’ absence, resulting in overgrazed grasslands. 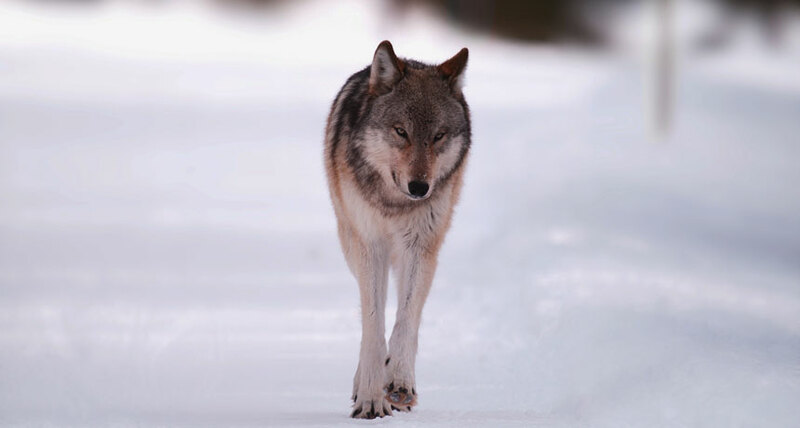 And with wolves back in the picture, coyotes are dropping to more sustainable levels. Coyote numbers had ballooned without the wolves around, leading to a dramatic decline in numbers of Yellowstone’s pronghorn (the only animal with branching horns that sheds them annually). To tell this story, the episode follows a year in the lives of a lone adolescent male wolf named Blacktail and a female grizzly bear named Quad-Mom. The bear earned her name after she successfully raised four cubs, a rare feat. The viewer is transported into dramatic scenes of wolves chasing down bison, and a mother bear with her two cubs working with a coyote to flush out young elk hidden among sage brush.